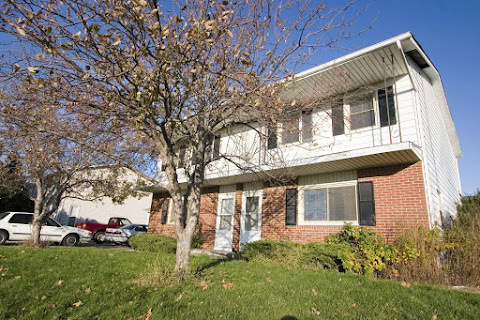 You will love the light and the great location of this townhome in western Champaign. A dining room separates the kitchen from the spacious living room and the lower bathroom offers convenience for guests. The large fenced backyard provides plenty of private outdoor space as well. Save yourself the hassle of hauling laundry, paying for machines, waiting around, and packing it all up. Enjoy the convenience of on-site laundry and keep home chores at home. The detached garage is a real convenience when the weather gets bad. The driveway is also long enough for two cars, and there is street parking as well. This home is just up the street from Centennial High School/Jefferson Middle School, a city park, Sholem Aquatic Center (city swimming pool/fun park), and is near groceries, restaurants, and shopping. Large Detached Garage Great Property Manager! Leases are typically 12 months or until July 31st of the next year. This home has not been approved for Section 8. Non-smokers. This home (and grounds) is allergic to smokers (including eCigs/vaping). Resident is responsible for: electricity; water; $4/month per Resident sewer/sanitary fee; any other desired services, such as phone, internet, cable, etc. Apply. Each prospective resident age 18 and over will need to apply. $25 application fee per prospective resident.